Groningen is the main municipality as well as the capital city of the eponymous province in the Netherlands. Kick off your visit on the 18th (Wed): admire the landmark architecture of Martinitoren, then don't miss a visit to Stadhuis Groningen, then admire all the interesting features of Vvv Groningen, and finally get outside with Klimcentrum Bjoeks. To find traveler tips, where to stay, and more tourist information, read Groningen day trip planning site . Amsterdam to Groningen is an approximately 2-hour car ride. You can also take a train; or take a bus. In July in Groningen, expect temperatures between 26°C during the day and 15°C at night. Finish your sightseeing early on the 18th (Wed) so you can travel to Berlin. Berlin is known for museums, historic sites, nightlife, parks, and shopping. 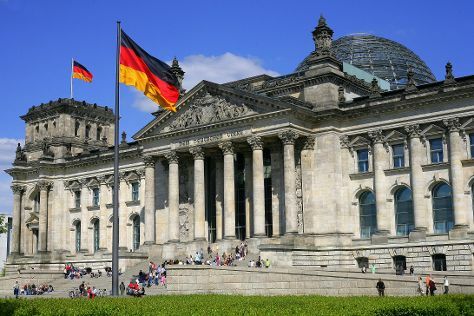 Your plan includes some of its best attractions: ponder the world of politics at Reichstag Building, examine the collection at Pergamon Museum, take in nature's colorful creations at Großer Tiergarten, and tour the pleasant surroundings at Zoo Berlin. To see ratings, traveler tips, more things to do, and more tourist information, use the Berlin day trip tool . Traveling by car from Groningen to Berlin takes 5.5 hours. Alternatively, you can fly. Finish your sightseeing early on the 23rd (Mon) to allow enough time to travel back home.